As well as many of the oldest institutions in the world, universities in Europe also include some of the youngest and most vibrant. This is reflected in the latest edition of the QS Top 50 Under 50, which showcases 50 of the highest-performing young universities around the globe, based on the most recent QS World University Rankings®. The Top 50 Under 50 features 15 universities in Europe. The European country with the most high-ranking young universities is Spain, which has three institutions featured. Here are the top ten across Europe, in reverse order of their ranking position this year. Kicking off our list of the top 10 universities in Europe under 50 years old is Linköping University, which is ranked 30th in the Top 50 Under 50 and joint 302nd in the world. Founded in 1969, it’s grown to become one of Sweden’s largest universities, with approximately 27,000 students enrolled at four campuses. It’s mainly located in the city of Linköping in the south of Sweden, around 150 kilometers from Stockholm. Another of the youngest internationally ranked universities in Europe is Spain’s Universitat Pompeu Fabra, which was established just 28 years ago in 1990. Based in Barcelona, the university is spread across the city with the main buildings located between the always-busy La Rambla and Marina Avenue, in close proximity to Barcelona’s sandy beaches. Universitat Pompeu Fabra is ranked 29th in the Top 50 Under 50 and 298th in the world in 2019. Another Spanish entrant located in Barcelona is the Universitat Politècnica de Catalunya, ranked 26th in the Top 50 Under 50 and joint 275th in the World University Rankings. Founded in 1971, the university is now the largest engineering institution in Catalonia, with around 30,864 students in 21 schools located in Barcelona and six other nearby Catalan cities. Universidad Carlos III de Madrid is ranked 22nd in the Top 50 Under 50 and joint 253rd in the world in 2019, up 28 places from last year. Established by an act of Spanish Parliament in 1989, the university has a distinctly international profile, with a broad range of programs taught in English, and many students who come from outside of Spain, particularly at graduate level. Formed in 2003 from a merger of three existing Belgian universities, the University of Antwerp currently has 21,100 students, 19 percent of whom are international. Coming 17th in the Top 50 Under 50 rankings, the University of Antwerp also ranks joint 223rd in the world. Antwerp is Belgium’s second-largest city, famous for its cathedral and a lively arts and entertainment scene, while its cobbled streets and riverside cafés provide a stylish contrast to its fashion-forward locals and lively club culture. The Netherlands’ Maastricht University is ranked 15th in this year’s Top 50 Under 50. The city of Maastricht is in the far south of the Netherlands, nestled between the Belgian and German borders – a multilingual and multinational hub which is perfect for international students. The university itself is ranked 211th in the QS World University Rankings 2019, and is the second-youngest institution in the Netherlands, founded in 1976. Scuola Superiore Sant'Anna Pisa was a new entry in 2018 and is ranked 11th in the Top 50 Under 50 and 167th in the world, climbing 25 places this year. It was founded in 1987 from previously existing institutions which dated back to the 18th century, and today is considered particularly prestigious for applied sciences, as well as being well known for its strong research impact. Next in our look at the top young universities in Europe is Finland’s Aalto University, which was previously first in Europe, but nonetheless maintains a highly respectable top 10 position in the QS Top 50 Under 50, at ninth. Located in Helsinki and Espoo, Aalto University was established in 2010 by the merger of three universities: Helsinki University of Technology, the Helsinki School of Economics and the University of Art and Design Helsinki. Named after prominent Finnish architect and designer Alvar Aalto, the university is currently ranked 140th in the QS World University Rankings®. Ranked eighth in the Top 50 Under 50 this year and 137th in the world (up 40 places this year), the French CentraleSupélec was established in 2015 by the merging of two leading engineering grandes écoles: École Centrale Paris and Supélec. CentraleSupélec is considered one of the best universities in France for engineering and technology (featuring within the top 100 for this subject area in the QS World University Rankings by Subject 2018) and is also known for its research. 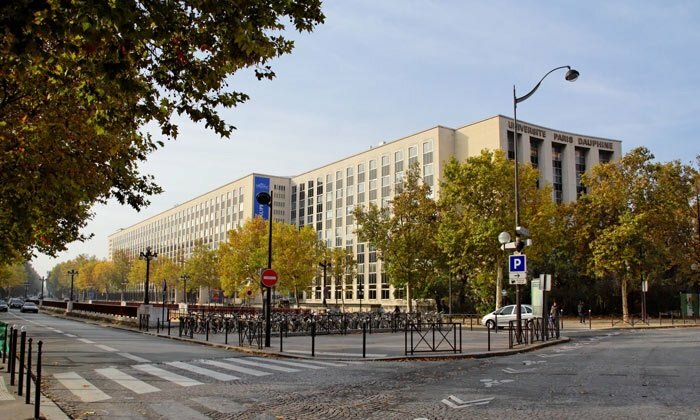 Also the number one university in France in 2019, new entry Paris Sciences et Lettres Research University (PSL) is our top-ranked young university in Europe this year. A collegiate university, PSL was established in 2010 and is made up of nine constituent colleges, including the elite École normale supérieure (ENS Paris), a highly selective grandes école. PSL enters the ranking this year at fourth in the Top 50 Under 50 and 50th in the world, achieving its highest score for employer reputation. This article was originally published in February 2014. It was last updated in June 2018 to incorporate the latest ranking results. I am belong from poor family...I can't arrange more education by the cause of rupees..if you have free scholarship u can inform me..I am the keen of education.